Published: Aug. 11, 2012 at 11:56 p.m. Updated: Aug. 12, 2012 at 06:57 a.m. 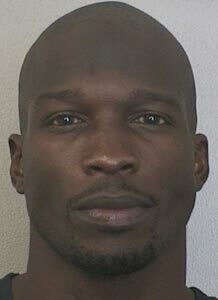 There won't be any shortage of reaction to Chad Johnson's Saturday arrest on a domestic violence charge. We are left without all the details, but what little we do know is disturbing enough to alter our otherwise sunny view of the man formerly known as Ochocinco. One month ago, he married Evelyn Lozada in a ceremony he happily shared on Twitter. On Saturday, he allegedly crossed a boundary that few will forgive. The Miami Dolphins are unlikely to keep Johnson, who never was anything more than a fragile experiment in an offense that needs receiving help but doesn't need this. Remember, this is the franchise that washed its hands of Brandon Marshall, whose chaotic personal life and legal entanglements didn't play well with the fans, triggering his trade to the Chicago Bears. This might be Johnson's last chance on the football field, but where he stands in his playing career isn't the concern right now. For all effective purposes, his playing career ended years ago. Johnson long has been a meddler, a tireless self-promoter and a 24/7 Twitter nuisance, but he also entertained us. Before Saturday night's incident in Davie, Fla., his good deeds far outweighed anything malicious. Before Saturday night, Miami's biggest concern was his colorful vocabulary. In the end, our judgment on Chad Johnson is meaningless. He'll wake up Sunday morning in a new world. For so long, we obediently followed the show. Watching his every move. Knowing he was good for business. Knowing, ultimately, nothing about him.